2020 Rockwood 2109S Mini Lite - Coming Soon! 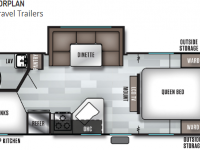 Salem Cruise Lite Northwest Travel Trailers The Cruise Lite is a great way to introduce your family to the RV lifestyle. 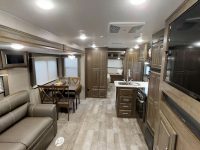 Full of great features that are usually only found in RVs at higher prices, the Cruise Lite offers you quality and value. 2020 Rockwood 2511S Mini Lite - Coming Soon! 2020 Rockwood 2507S Mini Lite - Coming Soon! 2020 Salem T25RKS - Coming Soon! Salem Northwest Travel Trailers Years of memories are the expectation in a Salem RV. We understand that families come in many different sizes which is why we offer functional floorplans to meet your needs. 2020 Salem 243BHXL CRUISE LITE - Coming Soon! 2020 Rockwood 2912BS Ultra Lite - Coming Soon! 2020 Rockwood 8299BS Signature Ultra Lite - Coming Soon!